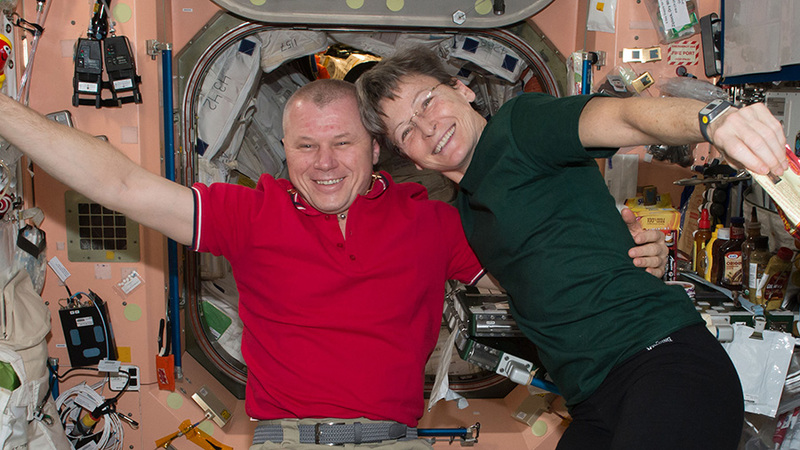 Expedition 51 crewmates Oleg Novitskiy and Peggy Whitson pause for a portrait during a busy day aboard the station. Commander Peggy Whitson and Flight Engineers Thomas Pesquet and Oleg Novitskiy juggled a wide variety of space science and human research Thursday. 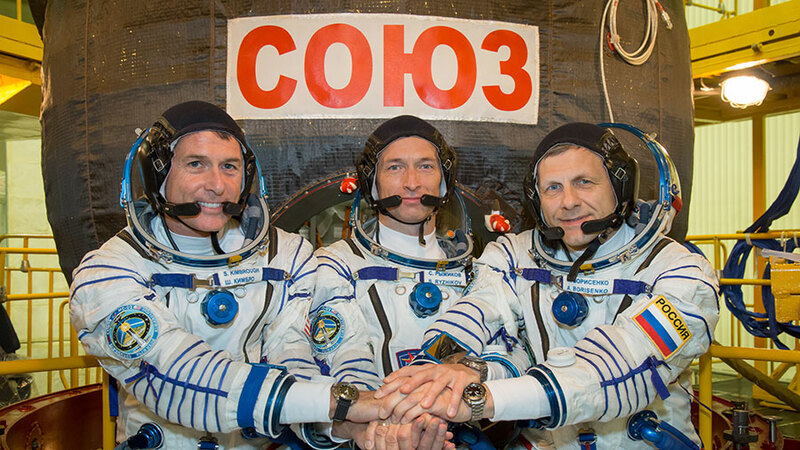 The Expedition 51 trio also switched roles from orbital scientists to high-flying technicians maintaining the systems of the International Space Station. Whitson started the day testing her fine motor skills to help researchers understand space adaptation and potentially design future touch-based devices for astronauts. 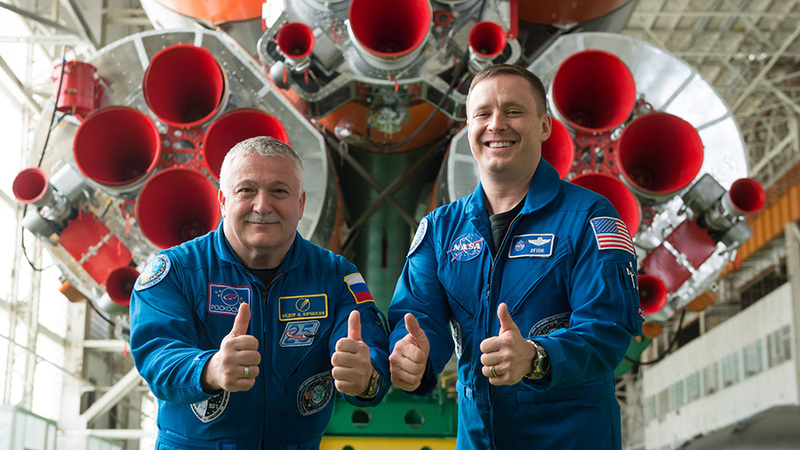 The commander then spent the afternoon on space plumbing and worked on the Water Recovery System that converts urine and sweat into clean drinking water. Pesquet began his morning observing what happens to materials heated to extreme temperatures. The Electrostatic Levitation Furnace can reveal combustion properties and synthesize materials that are very difficult to produce on Earth. In the afternoon, he studied the different phases of metallic alloys in the Material Science Research Rack. 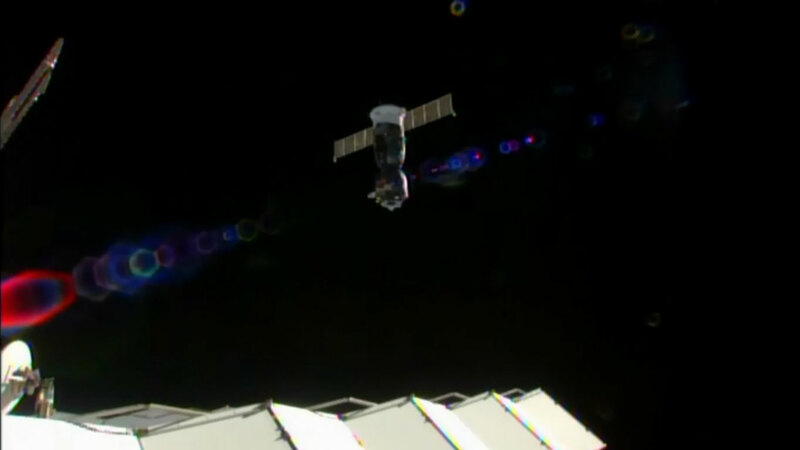 Novitskiy, who is on his second station mission, worked throughout the day on troubleshooting a computer issue in the Zarya cargo module. 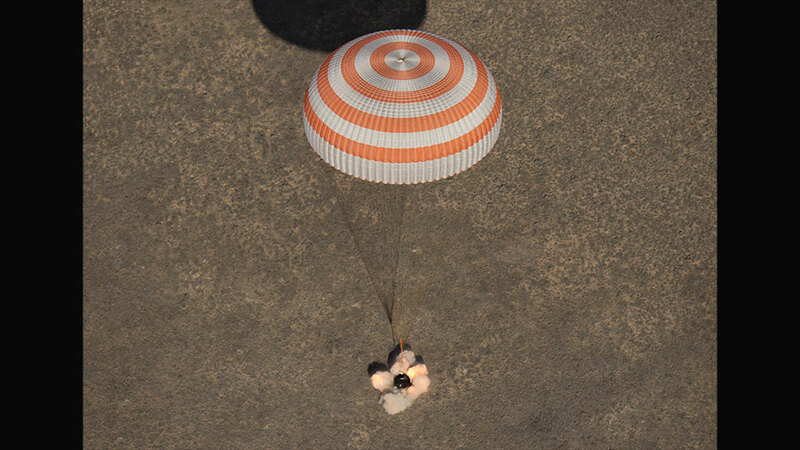 Towards the end of the day, he charged computer batteries inside the Soyuz MS-03 spacecraft and flushed water tanks into the Progress 66 cargo craft. The three Expedition 51 crew members aboard the International Space Station are waiting for a new cargo shipment and a new crew to arrive next week. The orbiting trio are also performing human research and working on U.S. spacesuits. 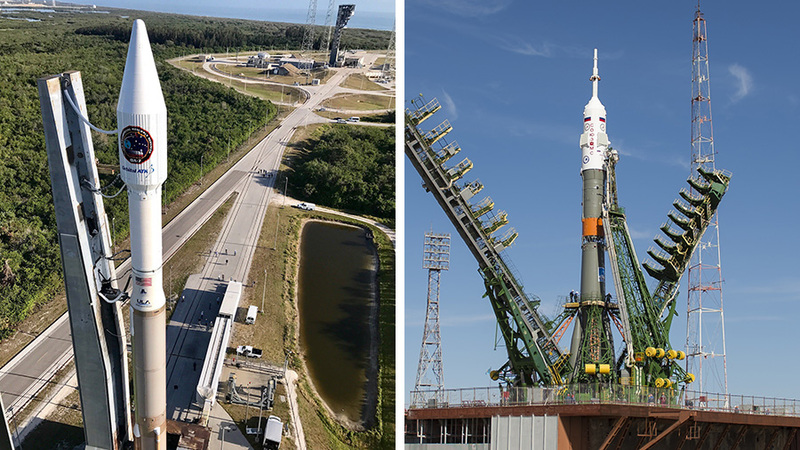 A pair of spaceships are due next week at the space station. 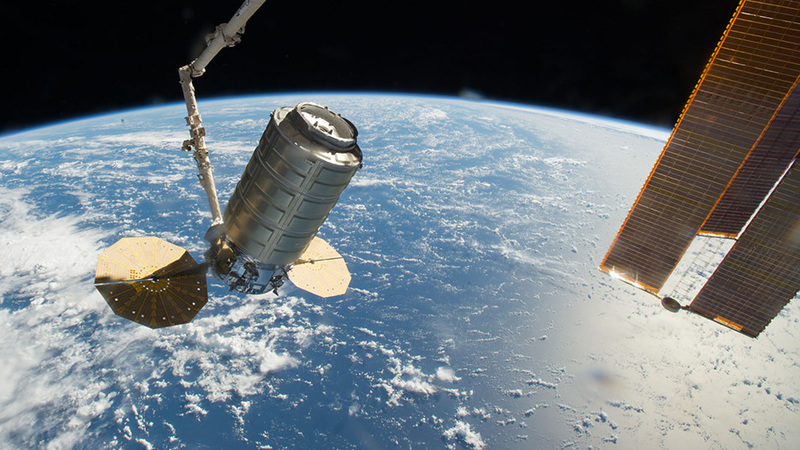 The Orbital ATK Cygnus will launch April 18 on a four-day trip to deliver over 7,600 pounds science gear and crew supplies. 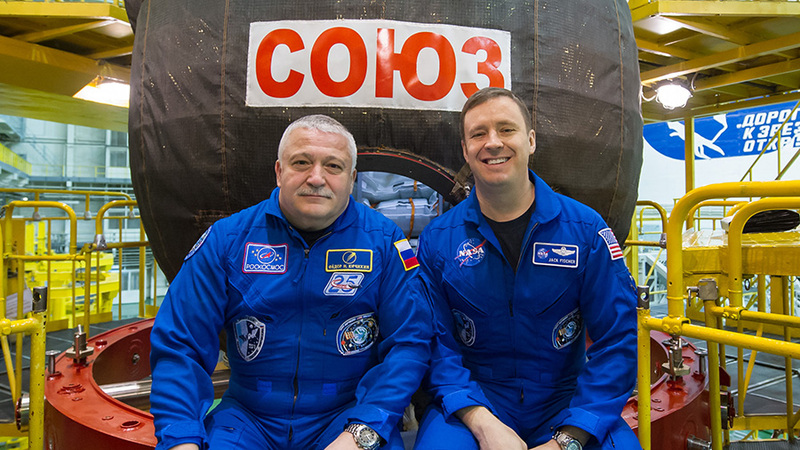 On April 20, a pair of new Expedition 51 crew members will blast off in the Soyuz MS-04 spacecraft on a six-hour ride to the station’s Poisk module. Commander Peggy Whitson is continuing to explore how new lights installed in the station are affecting crew health and wellness. She is documenting her sleep patterns and participating in cognition and visual tests for the Lighting Effects study. European Space Agency astronaut Thomas Pesquet started his day conducting a Fine Motor Skills test. 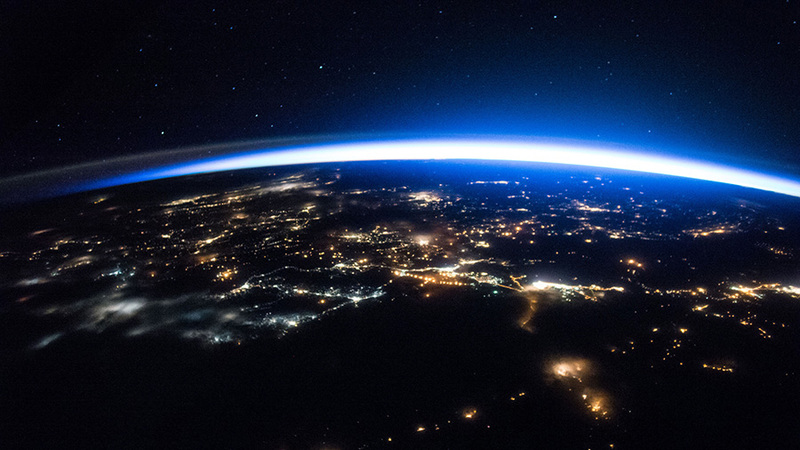 The study is helping scientists understand how astronauts adapt to touch-based technologies that could influence the development of mobile devices and spacecraft piloting interfaces. 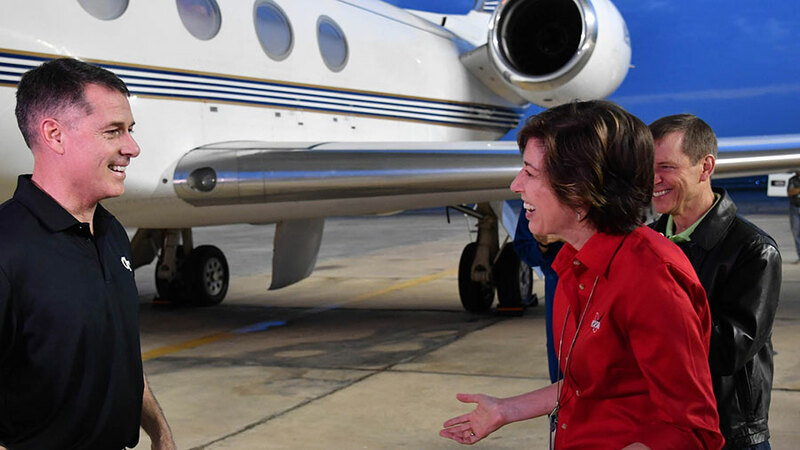 Pesquet turned his attention to spacesuit maintenance Wednesday afternoon. He dumped cooling water and purged gas buildup from the water tanks inside the suits. The work is being done ahead of a planned May 12 spacewalk to replace an avionics box to control science experiments installed outside the station.